Video posted February 5, 2016 in Baseball in Cuba by Centre County Report. Story/Video posted December 14, 2015 in Baseball in Cuba by Centre County Report. 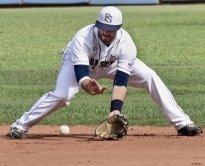 Story posted December 12, 2015 in Baseball in Cuba by Madeline Shutt, Courtney Barrow, Cameron Hart, Kelsie Netzer, Tyler Feldman, Maddie Bright, Andy Madore, Gabrielle Chappel. Video posted December 10, 2015 in Baseball in Cuba by Centre County Report. Video posted December 3, 2015 in Baseball in Cuba by Courtney Barrow / Centre County Report. 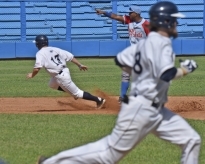 Video posted December 3, 2015 in Baseball in Cuba by Gabrielle Chappel / Centre County Report. Story posted November 29, 2015 in Baseball in Cuba by Andy Madore / John Curley Center. Story posted November 28, 2015 in Baseball in Cuba by Tyler Feldman / John Curley Center . Story posted November 27, 2015 in Baseball in Cuba by Madeline Shutt / John Curley Center. Story/Video posted November 26, 2015 in Baseball in Cuba by Courtney Barrow and Kelsie Netzer / John Curley Center. Photo posted November 25, 2015 in Baseball in Cuba by Cameron Hart and Kelsie Netzer / John Curley Center. Story/Video posted November 25, 2015 in Baseball in Cuba by Andy Madore and Kelsie Netzer / John Curley Center. Photo posted November 24, 2015 in Baseball in Cuba by Cameron Hart and Kelsie Netzer. Story/Video posted November 23, 2015 in Baseball in Cuba by Maddie Brightman and Courtney Barrow / John Curley Center . 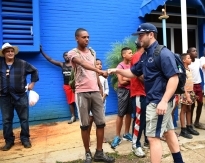 Story/Video posted November 22, 2015 in Baseball in Cuba by Maddie Brightman and Courtney Barrow / John Curley Center . Photo posted November 22, 2015 in Baseball in Cuba by Cameron Hart and Kelsie Netzer. 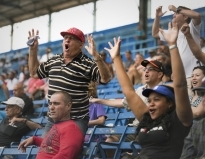 Story posted November 19, 2015 in Baseball in Cuba by Maddie Brightman / John Curley Center.